Attractions like Mahabaleshwar Hill Station and Mapro Garden make great kid-friendly stops. 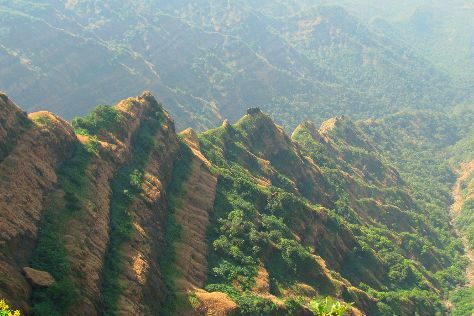 Explore Mahabaleshwar's surroundings by going to Satara (Dholya Ganapati, Koyna Wildlife Sanctuary, & more) and Panchgani (Table Land, Parsi Point, & more). Pack the 26th (Fri) with family-friendly diversions at Velocity Entertainmentz. Next up on the itinerary: take some stellar pictures from Arthur's Seat, take in the dramatic scenery at Lingmala Waterfall, delve into the distant past at Krishnabai Temple, and contemplate the waterfront views at Venna Lake. To see ratings, reviews, where to stay, and other tourist information, use the Mahabaleshwar trip planner. Finish your sightseeing early on the 27th (Sat) to allow enough time to travel back home.